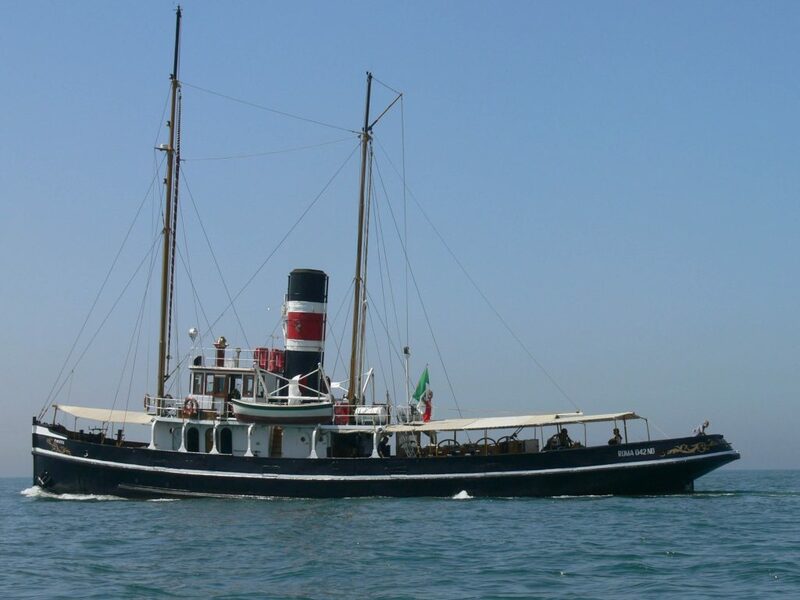 It is the oldest Italian commercial steamship still on the go. Its propulsion is entrusted to a triple expansion steam engine and its state of conservation makes it unique. The Italian flag flies on it and is registered in the Register of the Maritime Compartment of Naples with the number thirty-three Until 1993 it uses to carry out a regular port activity, making its way through the modern tugs. 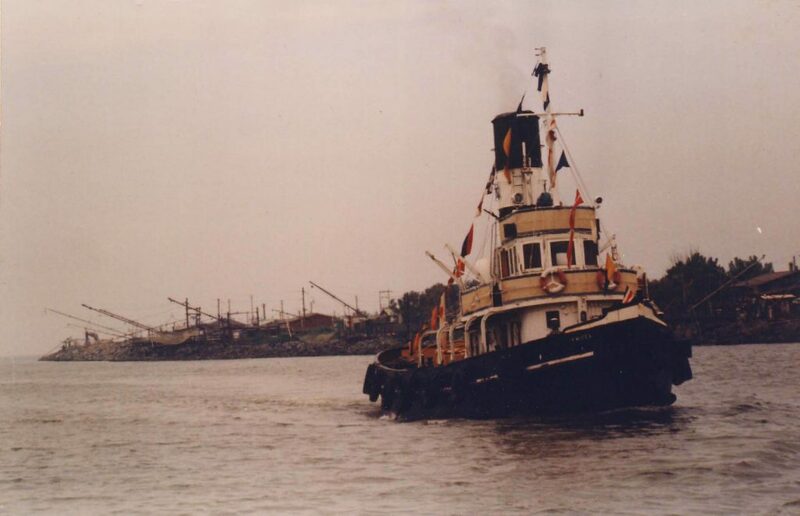 It was born as a deep-water tugboat at The J.P.Rennoldson and Son shipyards in South Shields, Newcastle (GB), where it was launched in 1905, it was registered in the Register of the Maritime Compartment of Naples, as a Piro Tugboat Schooner and in this city it spent most of its life. Its world of work consists of towing ships and seafarers from even very distant countries, who bring goods, stories, and legends with them. On the deck of this proud working hull, a broken top can mean the end of life, and an improperly carried out trailer leads to the sudden reversal of the vessel. Certainly, The Pietro Micca is not yet retired. At the beginning of 1996, it was purchased by the “Associazione Amici delle Navi a Vapore G. L. Spinelli” and saved from safe demolition. After being rearmed, it still makes itself the protagonist of cultural, educational, scientific and environmental activities. 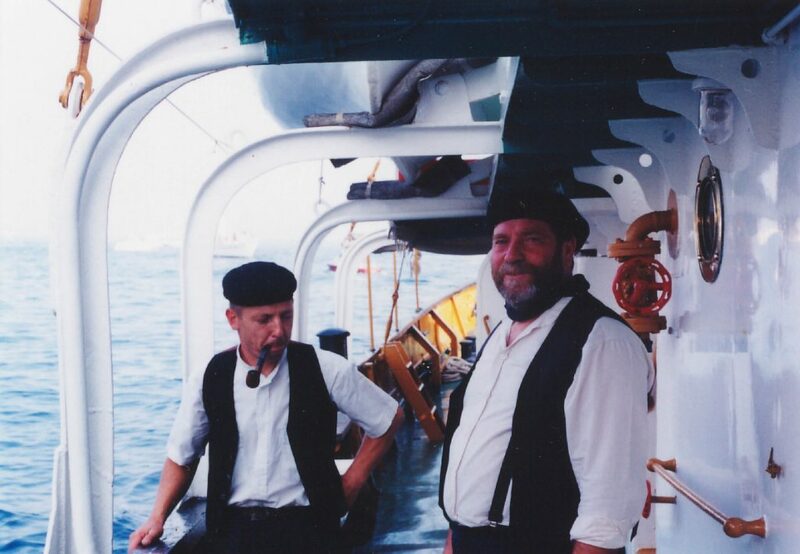 The Pietro Micca is always ready to go to the sea to earn its future, historical testimony of the past technologies. Machine: “Vertical triple expansion ” alternative machine with pistons with opposite movements and drawer distribution, built by The J.P.Rennoldson and Son. 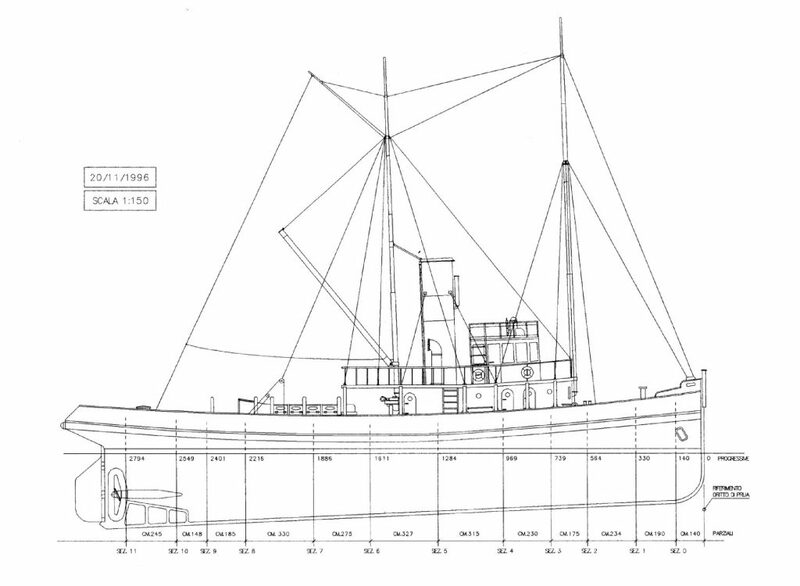 Boat plans: At the end of the restoration work, the Italian Naval Registry put the ship back in class with the maximum score: 100 A1 for the hull, 100 A1 for the machine. 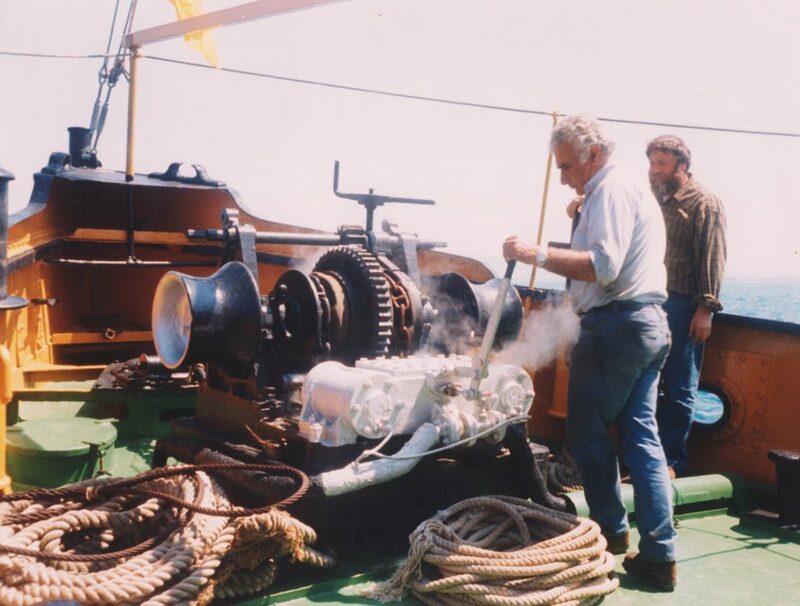 The triple expansion tractor is the first steam engine: it transforms the thermal energy of the water vapor produced in the boiler into mechanical energy. 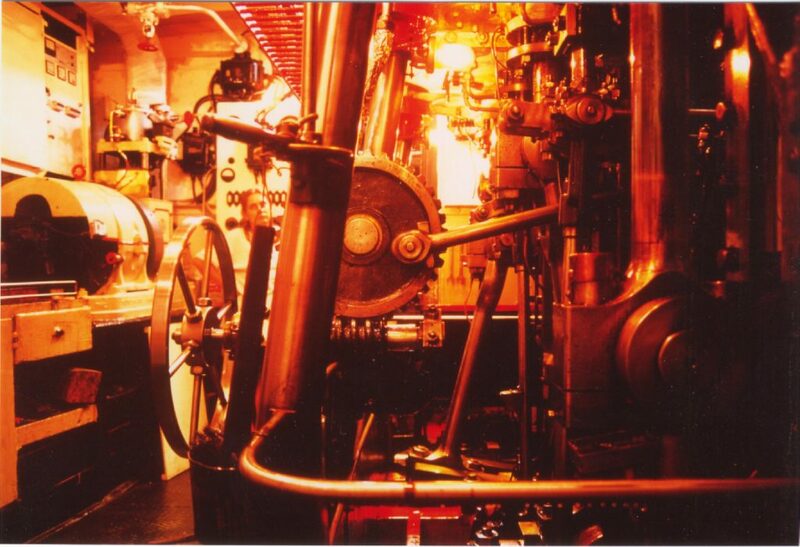 In order to have the ship available for the Captain, at least twenty hours must have elapsed since the burners were turned on this is the required time for the mass of water to reach operating pressure. In 1953 two groups of double-body burners were installed, In the history of this century-old ship, this is the only substantial change made to the propulsion complex, which is thus fueled with both coal and heavy oil. All the services on board are steam-powered: the winch sails, the winch to tackle the hawsers, the dynamo to recharge the electrical energy accumulators, the rudder has a steam-powered rudder. At rotation of 87 RPM, it develops a speed of 10 miles in calm water with a range of 2400 miles with consumption of four tons fuel every twenty-four hours. The largest tank contains 40 tons of fuel: divided into main, service and purge tanks. In two tanks there are 30 tons of water ready to be placed in the boiler. In addition to the steam dynamo, which recharges the onboard batteries. Photovoltaic panels (1.3 kWh/day) have been installed, respecting the aesthetics of the ship, in the spirit of keeping the ship abreast of modern technologies, compatible with tradition and the environment. More than a century of life, but what a century! The intense century-old history, experienced by a steamer Deep-sea tugboat: launched in 1895 in South Shields, Newcastle (GB) with the name Dilwara, designed for port work and built with top-grade techniques, developed in those years of the end of the century , in which steam navigation expressed the culmination of technological knowledge of the field. At that time the Diesel engine was invented in 1892, was already a reality and would soon replace the steam engine. In 1903 the Dilwara and one of its twin units were brought to the Kingdom of Italy, first to Genoa and later, in 1905, to Naples, where it was entered in the Compartmental Register under the name Pietro Micca. 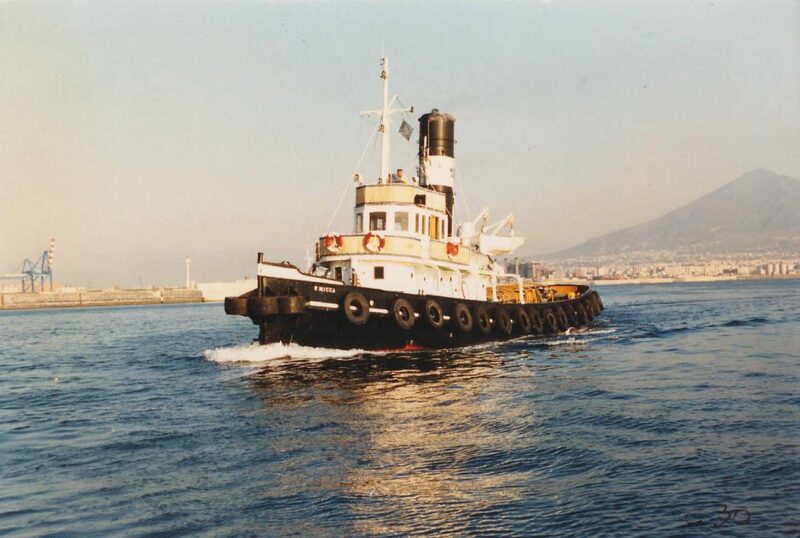 Substantially used as a port tugboat, and later worked as a pontoon tugboat for the installation of the piers of many ports in the Mediterranean and was used for minesweeper work in “periods of need”. 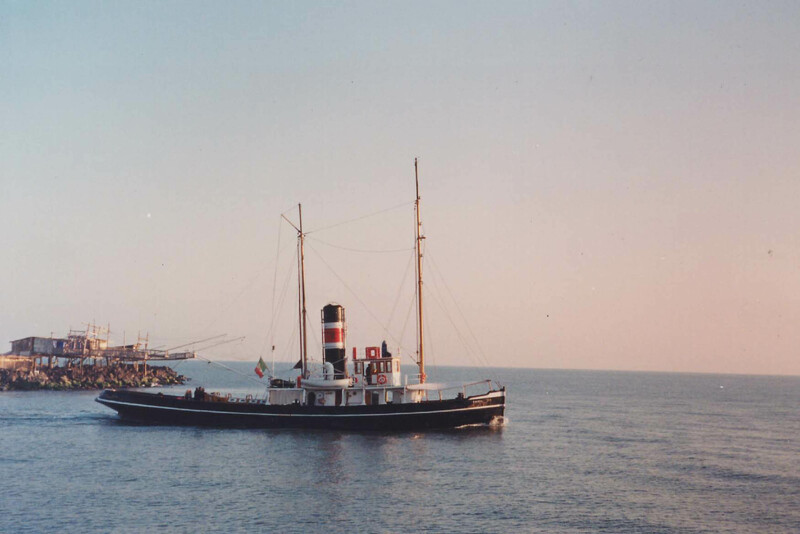 The Pietro Micca was able to survive in step with much more modern and efficient tugs, supplying the American ships stationed in Naples with the steam they needed to remain in operation (kitchens, services, engine room) during long periods of rest. With the fall of the “Berlin Wall”, the American fleet left the Port of Naples and Pietro Micca risked demolition. 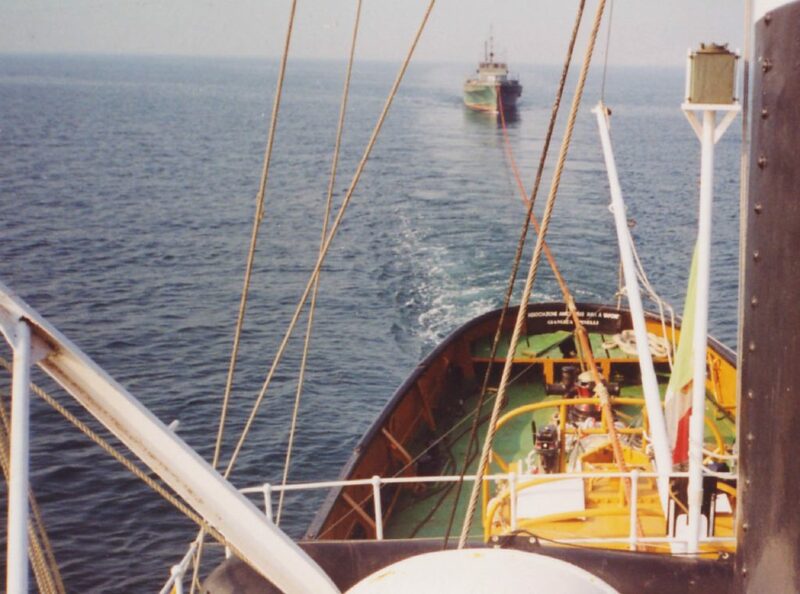 The “Associazione Amici delle Navi a Vapore G. L. Spinelli” bought it in 1996 on the initiative of its President Mr. Pier Paolo Giua, who also directed its faithful restoration, at the TECNOMAR shipyard in Fiumicino, where it is currently mooring.